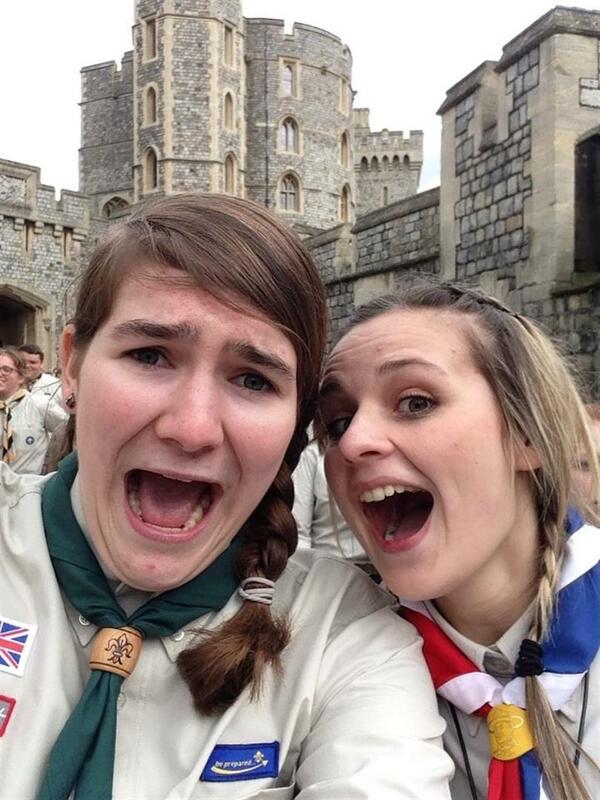 day 27th April 2014, 14 Queen’s Scouts from Staffordshire took part in the National Scout Service & Parade at Windsor Castle to celebrate their achievements in gaining the highest youth award in Scouting, the Queen’s Scout Award. 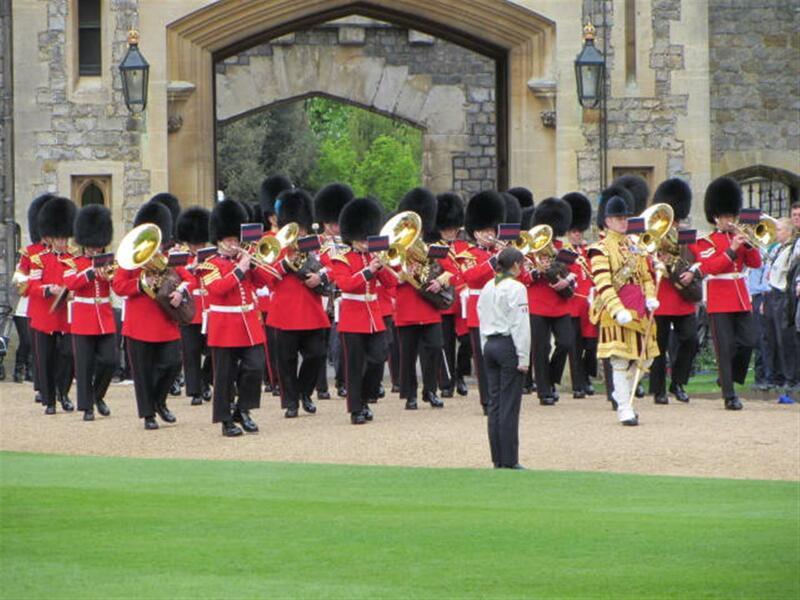 In the morning, the Queen’s Scouts practised marching in Victoria Barracks and shortly after lunch, assembled in the Royal Mews to be led off by the Guards Band into the Castle’s Quadrangle. 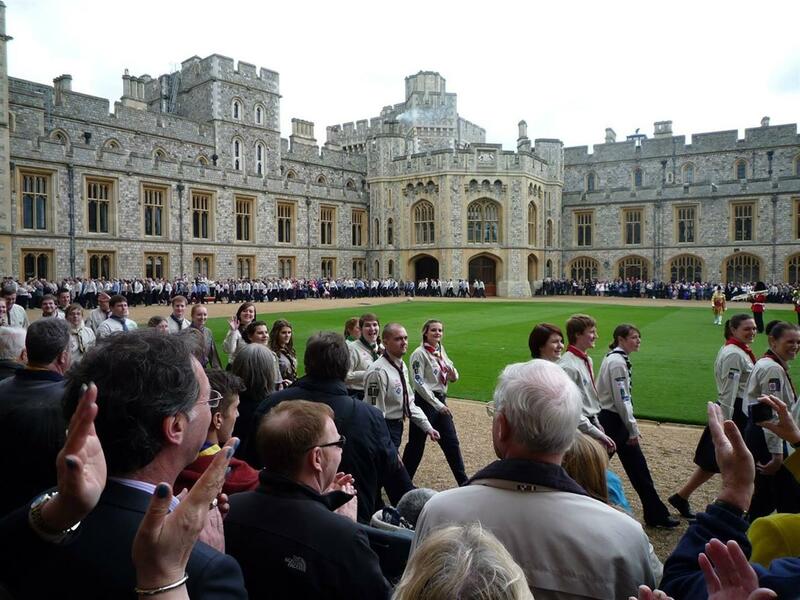 HRH The Duke of Kent (President of The Scout Association) along with Bear Grylls (Chief Scout), and Wayne Bulpitt (UK Chief Commissioner) reviewed the Queen’s Scouts. 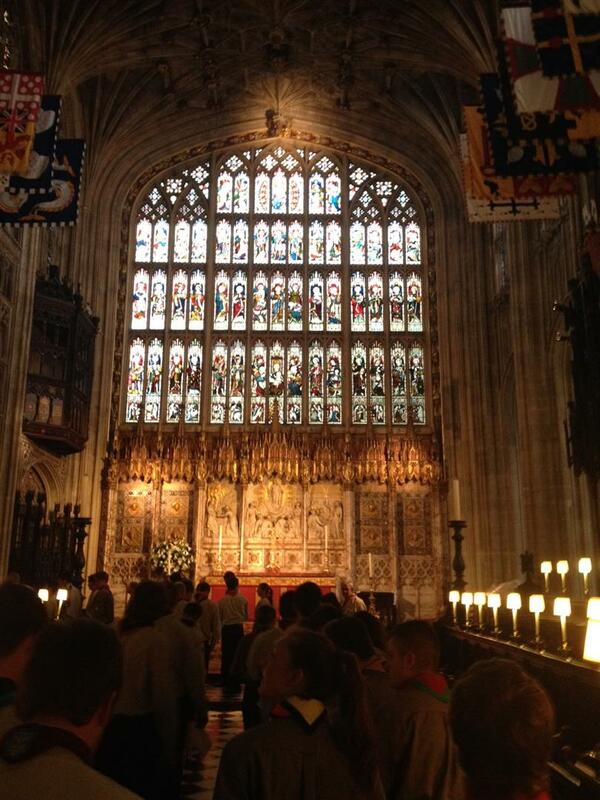 After parading from the Quadrangle through the Lower Ward to the applause of family, friends, and Scouting representatives, the Queen’s Scouts entered St George’s Chapel for the National Scout Service. 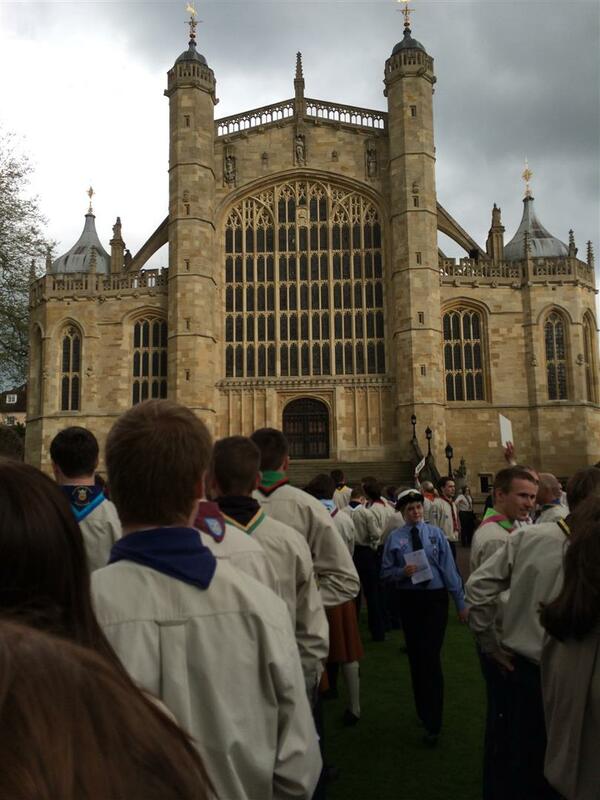 The day was concluded by a rousing speech from the Chief Scout and marching back into the streets of Windsor. 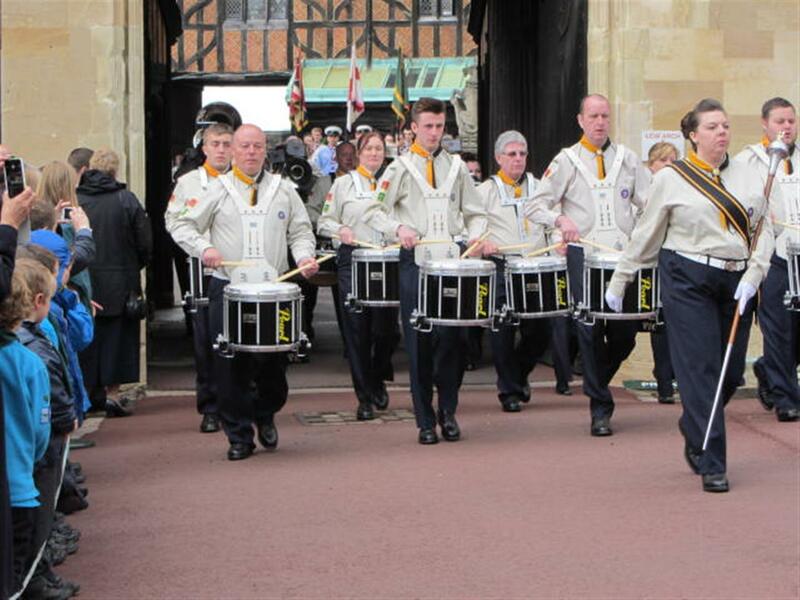 Charlotte Pritchard (Newcastle), Alexandra Penniston (Stone), Chloe Staite (Stafford), Sion Hughes (Newcastle), Isobella Emmens (Newcastle), Daniel Martin (Newcastle), James Lucas (Uttoxeter), Kaleisha Emmens (Newcastle), Laura Hallsworth (Moorlands), Jack Stanyer (Newcastle), Jordan Edmondson (Lichfield), Simon Meredith (County), Christopher Eyton-Jones (Keele), and Daniel Edmondson (Lichfield). 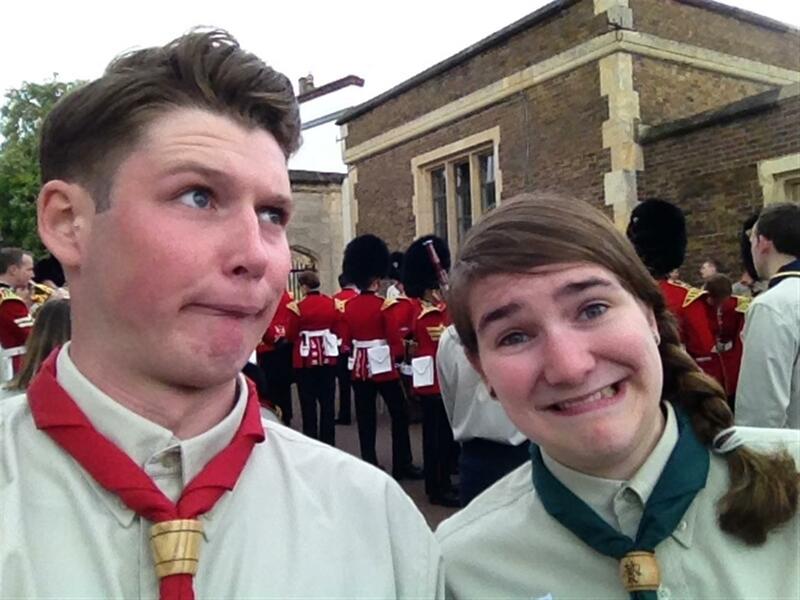 Adam Longhurst, a former member of Potteries North District who achieved the award in Staffordshire but is now a GSL in Greater London South, also attended the event. 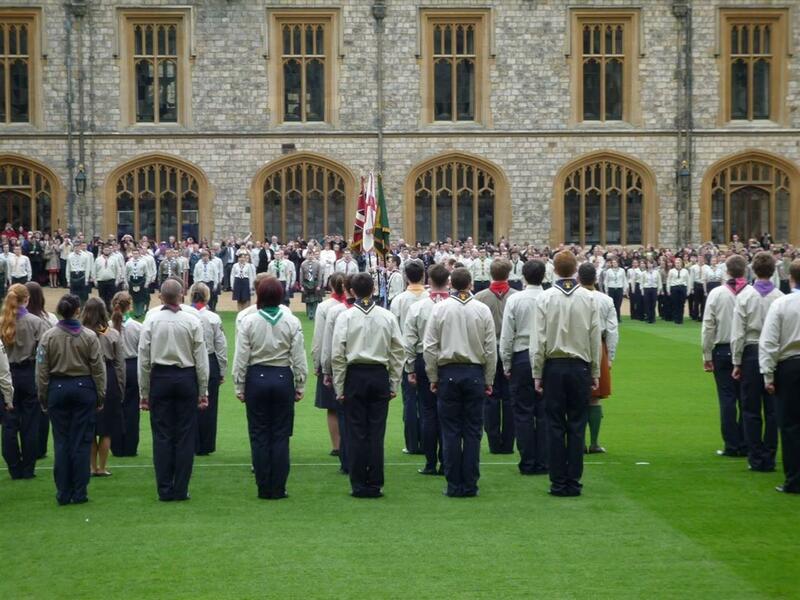 The day was the culmination of over eighteen months’ hard work to achieve the Queen’s Scout Award. 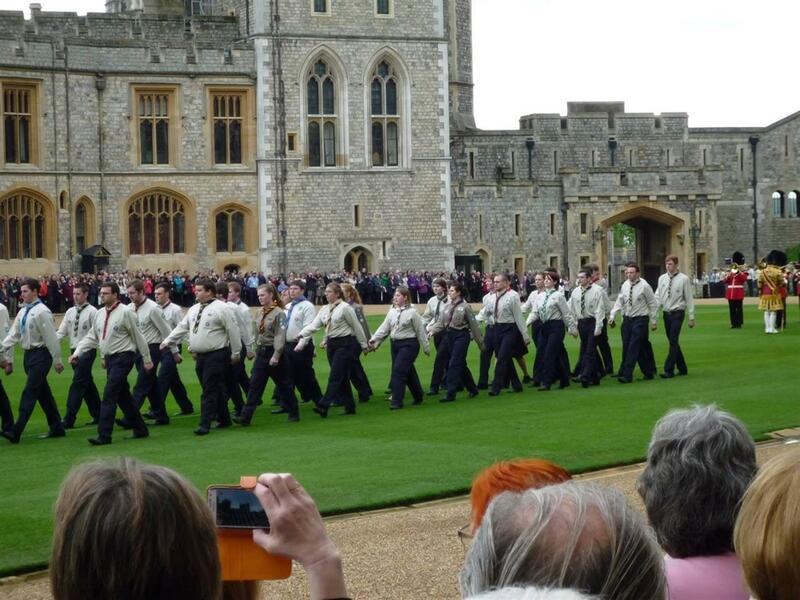 Individuals completed activities such as becoming a qualified football referee, ballroom dancing, yoga, running the London Marathon, voluntary work with a number of organisations, expeditions in wild country, and being a member of a church choir. 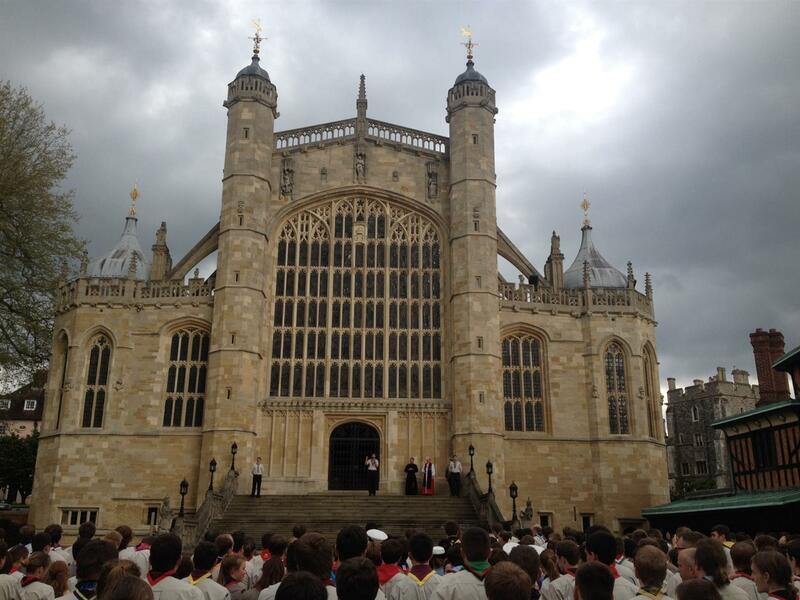 Most of the Queen’s Scouts also attended an international event including travelling to Sweden, Switzerland, France, Slovakia, Russia, the USA, or Ecuador. 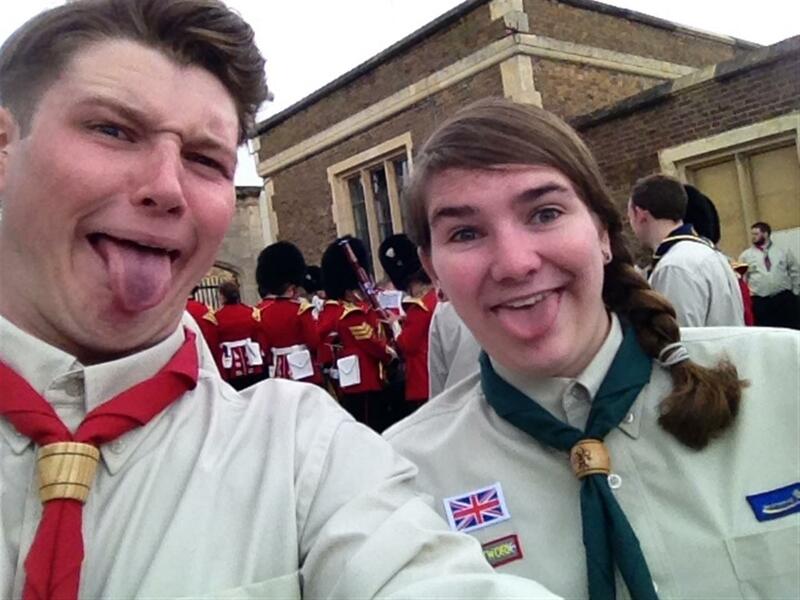 One of the Queen’s Scouts, Simon Meredith, was interviewed by Radio Stoke on the morning of the parade. It is available below. 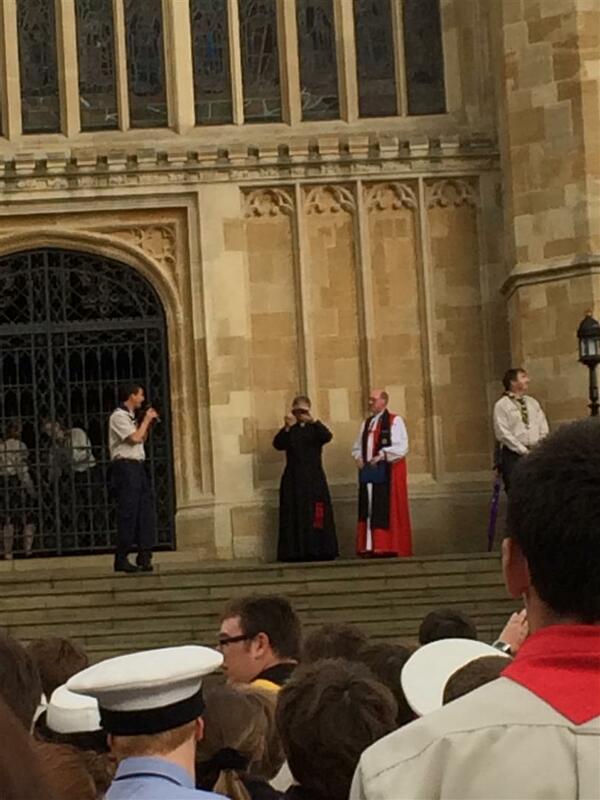 Thanks to everyone who supplied photos.